Silver Compass was created with one particular goal in mind – to ensure each and every one of our customers has the holiday they’ve dreamed of, from realisation through planning, and throughout the trip. As people who love to travel, we wanted to be able to share our knowledge, and help others to have the same enjoyable experiences we’ve had. 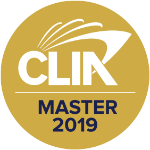 Through our industry connections we’re able to keep up-to-date on the current trends in travel, and offer our customers specialist fares and products. Through personal interest, our travel advisors are able to offer a unique perspective on destinations, excursions, holiday trip types and more. We pride ourselves on the humanisation of our service. We know that holiday planning is far from complete just because you’ve booked the hotel; we’ll be right there with you every step of the way, whether you need help with a visa, medical advice before you fly, or just guidance on the local customs. 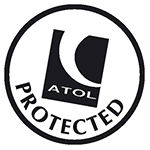 All our holidays are ATOL protected – so you can rest assured your plans are safe when you book with Silver Compass. Let’s create your dream holiday.